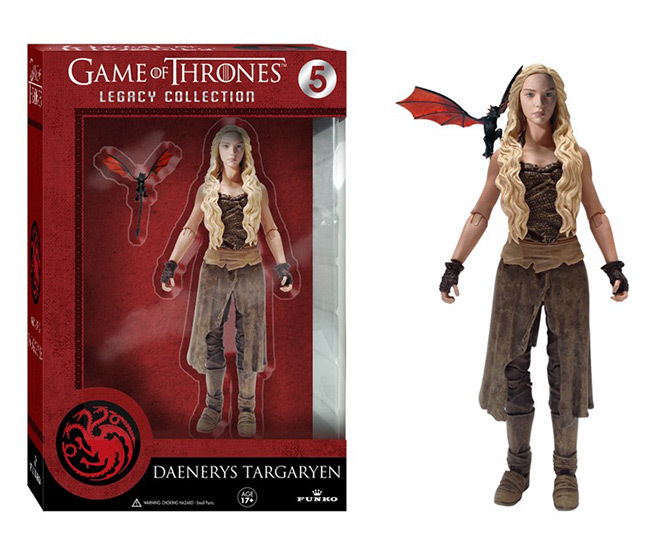 Daenerys Targaryen - The Daenerys Targaryen Legacy Action Figure is a 6" tall highly articulated action figure. The figure features Daenerys's dragon, Drogon, as an accessory. Ages 17+. 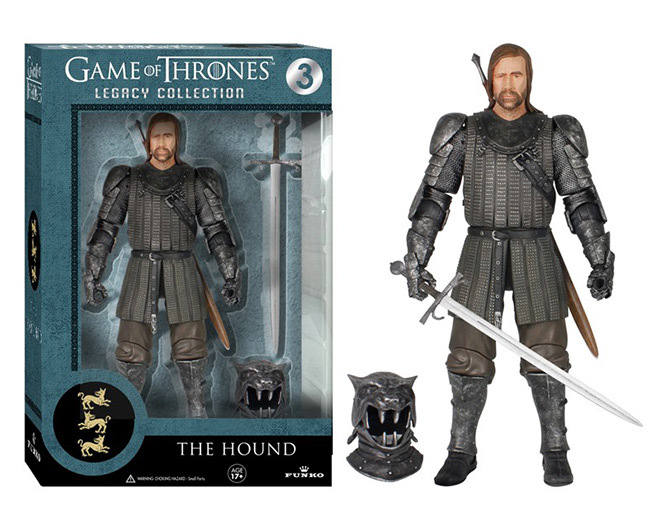 The Hound - The Hound is a 6.5" tall highly articulated action figure which features two swords and a helmet as accessories. Ages 17+. 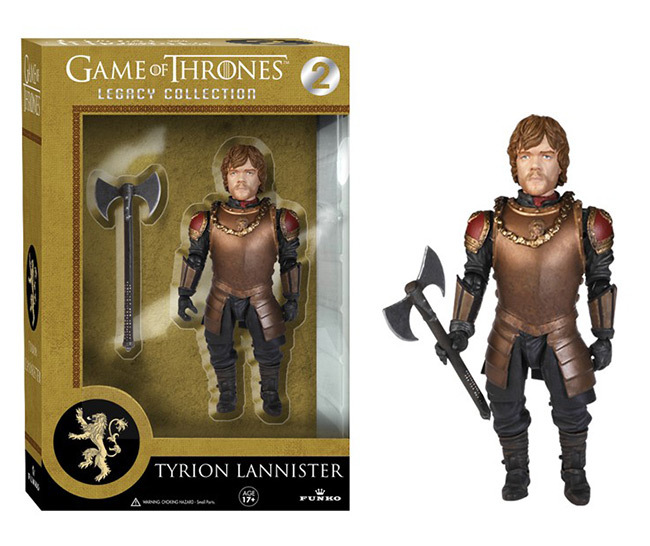 Tyrion Lannister - The Tyrion Lannister Legacy Action Figure is a 6" tall highly articulated action figure that includes an axe and a necklace as accessories. Ages 17+. 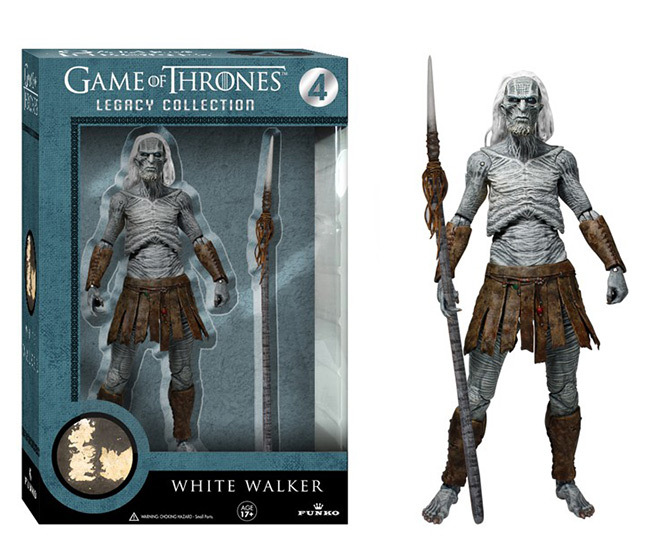 White Walker - The White Walker Legacy Action Figure is a 6.5" tall highly articulated action figure. The figure features a spear as an accessory. Ages 17+. 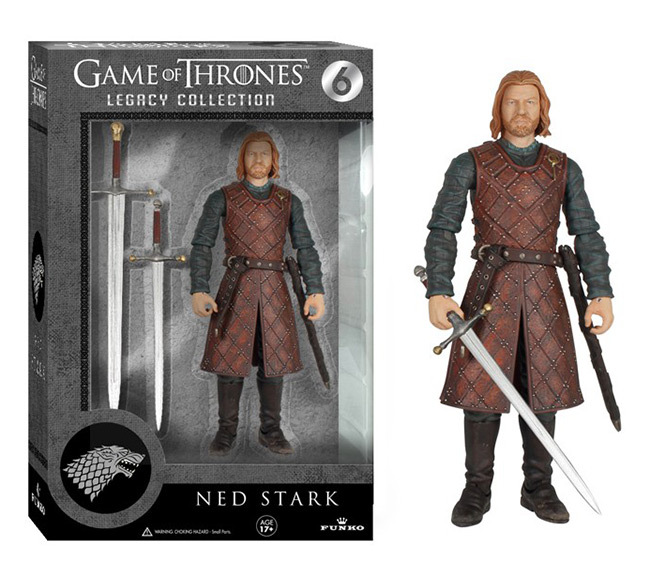 Ned Stark - The Ned Stark Legacy Action Figure is a 6" tall highly articulated action figure that comes with a sword as an accessory. Ages 17+. HBO Global Licensing officially licenses the HBO® brand for the development and merchandising of innovative product lines inspired by the network's award-winning programming. With products created around classic series like the The Sopranos® and to current hits like True Blood® and Game of Thrones®, items include fashion apparel, jewelry, digital and CD soundtracks, games, books as well as exclusive, premium collections in partnership with upscale, designer brands. Merchandise can be purchased in retail stores nationwide, at http://store.hbo.com, and at the groundbreaking HBO retail hub, the HBO Shop®, located at 42nd and 6th Avenue in New York City. 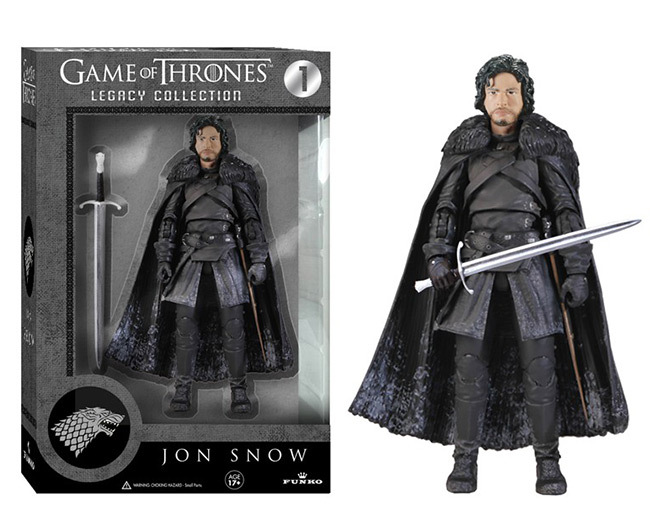 HBO Global Licensing products are also sold internationally across Europe, Asia and Australia.